Surviving stormy weather and a shark attack, the Wave Glider just entered the record books for the longest autonomous trip ever taken. On his first journey across the Pacific Ocean, Papa Mau was bitten by a shark, whipped by 100 mph winds, and tossed by 30 foot waves. Somehow he survived the whole 9,000 nautical mile trip from Northern California to Australia. Papa Mau now holds the world record for distance traveled by an autonomous vehicle on land or in the sea. The surfboard-sized robot is one of Liquid Robotics’ Wave Gliders--the first marine robots that propel themselves forward with wave energy. In November 2011, four Wave Gliders took off on a slow journey (they have a top speed of one and a half knots) across the Pacific, armed with sensors that measure oil spills, salinity levels, phytoplankton activity, and more. The goal: to spark interest in marine science, foster new innovations, and prove out Liquid Robotics’ technology. All data from the journey is available for free to anyone who registers on the Liquid Robotics website. Papa Mau is the first Wave Glider to finish his journey; the other three robots are still in transit. All four Wave Gliders were taken from San Francisco to the Monterey Bay, where they spent three weeks syncing their data with existing sensors in the area (from organizations like NOAA). From there, the robots’ paths diverged. The four robots continued together in a straight line to Hawaii, where they encountered the aforementioned 100 mph winds and 30-foot waves on a bright, sunny day. A nearby sailboat was so overwhelmed by the sudden nasty weather that it lost its mast and had to get rescued by a freighter. Liquid Robotics CEO Bill Vass says. "When we first saw that, we thought a sensor must be broken. But all four [Wave Gliders] started to see it. It didn’t show up on satellite systems. You hear stories like that from sailors and no one believes it." On the way to Hawaii, one of the Wave Gliders (cost: approximately $200,000) was bitten by a shark, which chomped through the controller cable for its rudder system. The robot made a pit stop in Oahu (all of the bots stopped briefly in Hawaii to sync up with a set of buoys), where it picked up a cable before heading back into the water. Sharks are often intrigued by the Wave Gliders and like to taste them, but this was the first time such severe damage had been done. "The shark bit through a steel-braided protective cable all the way into the control lines. The tooth is still embedded," says Vass. As a result of the incident, the next generation Wave Glider control cables will run inside the body in a metal tube. Two of the Wave Gliders headed out from Hawaii to Shikoku, Japan; the other two--including Papa Mau--set off for Brisbane, Australia. Mau shot down past American Samoa and the Fiji Islands, and then swung north and entered the East Australian Current before finally landing in Australia. The other Australia-bound Wave Glider, Benjamin, took a detour in American Samoa because of a malfunctioning sensor. He’s now seven weeks behind Papa Mau. The Japan-bound robots are also on their way. One of them had to get serviced before continuing its journey. says Vass. "The ocean’s a rough place to operate." The Wave Glider is currently being used for up to 60 different applications, including helping ships reduce fuel consumption, measuring carbon output, helping wit fishery management, and oil and gas exploration. As evidenced by the de-masted sailboat incident, the robot can detect things that satellites miss. Vass explains. "From a satellite system you can’t tell an algal bloom and plankton bloom from a hydrocarbon plume. We can measure down to two parts per trillion of hydrocarbons. We can tell [if a plume is] from fish, a natural oil seep, an oil rig, a plankton plume." In other words, the Wave Glider can detect oil spills in remote places where they might otherwise have gone unnoticed for too long. With so many capabilities, it’s no surprise that Wave Gliders are used by organizations as varied as BP and NOAA. In addition to Papa Mau’s arrival in Australia, Liquid Robotics also announced this week that it has selected the five finalists for the PacX Challenge, a competition that asked scientists to submit a research abstract outlining what they could do with the Wave Glider data sets. Entrants are studying everything from the respiration of the ocean to phytoplankton. The winner will get to use a Wave Glider for six months and receive a $50,000 research grant, sponsored by BP. Vass says. "If you were to hire a deep ocean research vessel, it would cost $37,500 per day on average. This is six months equivalent. It’s a pretty big award for scientists to go out and do that." COMMENTARY: This is an incredible 9,000-mile journey across the Pacific Ocean by an aquatic fully-autonomous Wave Glider robot that succeeded in spite of a 100-mile per hour hurricane (after repairs from that shark bite). The research data that could be gathered by hundreds of Wave Glider's sailing strategically in the Earth's oceans could be invaluable in testing ocean water salinity, temperatures and wave actions for the purpose of evaluating the effects of global warming on our oceans. The oceans control the weather and any changes, even minute ones, can have devastating effects to ocean water salinity, temperatures and currents. In a blog post dated October 2, 2011, I wrote about NASA's Aquarius satellite, and how that satellite had produced the first global map of ocean surface salinity. Having a Wave Glider in the open seas provides a huge advantage over the Aquarius satellite. The data gathered by Wave Glider's could be copared with the satellite-captured data, to determine if there are any anomalies and similarities and prove very helpful in guiding future actions concerning global warming. As the Earth's climate changes, the worst inundations from hurricanes and tropical storms could become far more common in low-lying coastal areas, a new study suggests. Researchers from Princeton University and the Massachusetts Institute of Technology found that regions such as the New York City metropolitan area that currently experience a disastrous flood every century could instead become submerged every one or two decades. The researchers report in the journal Nature Climate Change that projected increases in sea level and storm intensity brought on by climate change would make devastating storm surges — the deadly and destructive mass of water pushed inland by large storms — more frequent. Using various global climate models, the team developed a simulation tool that can predict the severity of future flooding an area can expect. The researchers used New York City as a test case and found that with fiercer storms and a 3-foot rise in sea level due to climate change, "100-year floods" — a depth of roughly 5.7 feet above tide level that occurs roughly once a century — could more likely occur every three to 20 years. What today are New York City's "500-year floods" — or waters that reach more than 9 feet deep — could, with climate change, occur every 25 to 240 years, the researchers wrote. The research is not only the first to examine the future intensity of storm surges, but also to offer a tool for estimating an area's vulnerability, said co-author Michael Oppenheimer, the Albert G. Milbank Professor of Geoscienes and International Affaris at Princeton. He said. "Coastal managers in cities like New York make daily decisions about costly infrastructure that would be affected by such storms. They need a reliable indicator of the risk." "Our modeling approach is designed as a key step in this direction. As the world warms, risks will increase across a variety of fronts, and the threat to coastal infrastructure in the face of an already-rising sea level and potentially stronger hurricanes could be one of the most costly unless we are able to anticipate and reduce vulnerability." Lead author Ning Lin, a postdoctoral fellow at MIT, said that knowing the frequency of storm surges may help urban and coastal planners design seawalls and other protective structures. Lin, who received her Ph.D. from Princeton in 2010, began the project at Princeton then continued it at MIT; the current report is based on her work at MIT. Nothing that Manhattan's seawalls now stand a mere 5 feet high, Lin said. "When you design your buildings or dams or structures on the coast, you have to know how high your seawall has to be. You have to decide whether to build a seawall to prevent being flooded every 20 years." Lin and Oppenheimer worked with study co-authors Kerry Emanuel, an MIT atmospheric science professor, and Erik Vanmarcke, a Princeton professor of civil and environmental engineering. 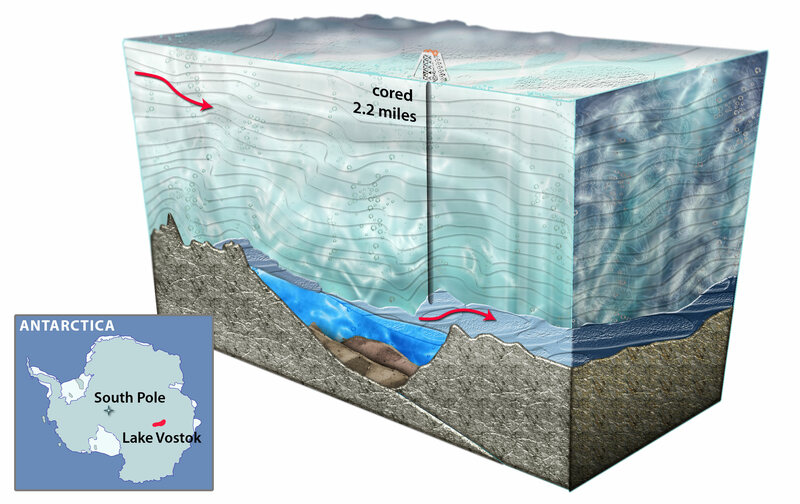 Lin, Vanmarcke and Emanuel also co-wrote a 2010 report on the project published in the Journal of Geophysical Research that was based on Lin's work at Princeton. Carol Friedland, an assistant professor of construction management and industrial engineering at Louisiana State University, sees the latest results as a useful tool to inform coastal design — particularly, she notes, as most buildings are designed with a 60- to 120-year "usable lifespan." "The physical damage and economic loss that result from storm surge can be devastating to individuals, businesses, infrastructure and communities. For current coastal community planning and design projects, it is essential that the effects of climate change be included in storm-surge predictions." The researchers ran a total of 45,000 storm simulations for the New York City region under two scenarios: current climate conditions from 1981 to 2000 based on observed data and four global climate models; and projected climate conditions for the years 2081 to 2100 based on the four climate models, as well as future carbon dioxide output as predicted by the Intergovernmental Panel on Climate Change (IPCC). Oppenheimer is a longtime participant in the IPCC. Storms in the simulations occurred within a 125-mile (200-kilometer) radius of the Battery, at the southern tip of Manhattan, and generated a maximum wind speed of at least 50 miles per hour. Hurricanes are classified as having a maximum wind speed of at least 74 miles per hour. Once the researchers simulated storms in the region, they then simulated the resulting storm surges using three different methods, including one used by the National Hurricane Center (NHC). In the days or hours before a hurricane hits land, the NHC uses a storm-surge model to predict the risk and extent of flooding from the impending storm. Such models, however, have not been used to evaluate multiple simulated storms under a scenario of climate change. Again, the group compared results from multiple methods: one from the NHC that simulates storm surges quickly, though coarsely; another method that generates more accurate storm surges, though more slowly; and a method in between, developed by Lin and her colleagues, that estimates relatively accurate surge floods, relatively quickly. The researchers found that the frequency of massive storm surges would go up in proportion to an increase in more violent storms and a rise in sea level, the researchers reported. They noted that climate models predict that the sea level around New York City could rise by 1.5 to nearly 5 feet by the end of the 21st century. Flooding was amplified by the storm's wind direction and proximity to the city. The worst simulated flood, a 15.5-foot storm surge at Manhattan's Battery, stemmed from a high-intensity storm moving northeast and very close to the city. On the other hand, a weaker but larger northwest-bound storm that was further from the city resulted in floodwater nearly 15 feet deep as its strongest winds pushed water toward the Battery. Floods of this magnitude outstrip the most devastating storm surges in the city's recorded history, Lin said. The worst accompanied the 1821 Norfolk and Long Island hurricane, which packed winds of 135 miles per hour and is one of only four hurricanes known to have made landfall in New York City since pre-Columbian times. "The highest [surge flood] was 3.2 meters [10.4 feet], and this happened in 1821. That's the highest water level observed in New York City's history, which is like a present 500-year event." The study was published online Feb. 14 by the journal Nature Climate Change, and was supported by the U.S. National Oceanic and Atmospheric Administration, and the Princeton Environmental Institute through a fellowship from the Program in Science, Technology and Environmental Policy based in Princeton's Woodrow Wilson School of Public and International Affairs. COMMENTARY: The Princeton University and the Massachusetts Institute of Technology researchers concentrated their storm surge and flooding study to the New York Metropolitan area. It should be kept in mind that extensive coastal flooding would be experienced along the entire Atlantic coastline due to global warming and rising sea levels. Massive flooding would also affect all of the Gulf states, including low-lying areas along the Pacific coast. If you would like to see how global warming and rising sea levels accompanied by massive storm surges from hurricanes could affect areas where you live in the U.S., please check the National Hurrican Center's Storm Surge Interactive Risk Maps HERE. Scientific evidence gathered by climatologists around the world clearly shows that worldwide carbon dioxide levels have been rising since the Industrial Revolution and that Earth's average temperatures are rising at an alarming rate. Carbon dioxide emissions from automobiles, manufacturing plants and coal fired energy plants get most of the blame. Global warming is happening as I write this. There will be some among you who still don't believe in global warming, and that it is something concocted by crazy liberals. That's just fine. You are entitled to your opinion. Peace brother. The EVS/SVS system combines infrared imaging and GPS-generated graphics to guide airplane pilots to the runway in low-visibility conditions. The live feed from an infrared camera in the nose of the plane -- which can "see through" certain kinds of bad weather to reveal runway landing lights or other pertinent ground features -- is perfectly registered via GPS on top of a 3-D graphical view of the terrain, creating a "blended image" that gives pilots "enhanced situational awareness in low visibility conditions," says Bob Witwer of Honeywell’s Advanced Technology group. In English, that means they can see what they're doing even when they can't actually see what they're doing. Think of it as something like X-ray vision, minus the titillating applications. Because the system (called EVS/SVS) is "all about enhancing safety," Witwer tells Co.Design, "there are a lot of subtleties to the design that really underscored a critical philosophy for us in this man/machine interface in aviation: don't give any info that the pilot doesn't need, and only provide infowhen he needs it." First, EVS/SVS doesn't use fancy heads-up displays or any specialty equipment -- it's displayed on the same LCD flight panels that pilots are already trained to rely on. And the somewhat primitive 3-D graphics look that way for a good reason. "Some early customer feedback asked why we couldn't make the synthetic terrain look photo-realistic -- but our philosophy is, there's detail that aids the mission and there's detail that becomes clutter," Witwer explains. "You want the real detail of the runway -- the landing lights and numbers. You don't want the pilot looking at the display and trying to see his house on the ground." Other subtle "human factors" in the system's design include context-aware colorizing of the image: when the plane is on the ground, the infrared portion stays monochrome, but during flight (and landing maneuvers) when the blending between infrared video and synthetic graphics is most important, the infrared box includes slight colorization. "We still kept it visually distinct so there's absolutely no ambiguity about the synthetic, constructed portions of the image," says Witwer. "If a pilot is going to be staring at this display for multiple minutes, you need to provide the information in an intuitive way." But EVS/SVS isn't intended to rewrite the rules of air safety; it can't magically "see" in all low-visibility conditions. ("You can actually use other electromagnetic methods to penetrate weather better than infrared," says Witwer, "but then the image isn't as sharp. It's a tradeoff.") What Honeywell wants is to simply enhance the information that pilots already rely on. A common safety rating known as "Category 1" requires planes to abort a landing attempt if they descend to 200 feet and still can't see the runway; using EVS/SVS, that safety "floor" can be pushed down to just 100 feet off the ground. "At 100 feet, if you can't make out key runway features with the naked eye, you still have to abort," says Witwer. "But that extra 100 feet of descent that EVS/SVS provides is often enough to get it done safely." That could translate into significant savings on fuel, since aborted landings mean circling for another attempt or diverting to another airport. EVS/SVS isn't a formal product yet; Honeywell is still testing it. But the company expects to receive FAA approval as early as 2013. If the winter storms are as bad two years from now as they were this time around, Honeywell's safety-design innovations won't come a moment too soon. COMMENTARY: I often wondered how commercial airline pilots can land their plane at night and under thick cloud cover or fog. The landings and takeoffs are always the "scary' part of flying for me. HUDs are split into four generations reflecting the technology used to generate the images. First Generation - Use a CRT to generate an image on a phosphor screen, having the disadvantage of the phosphor screen coating degrading over time. The majority of HUDs in operation today are of this type. Second Generation - Use a solid state light source, for example LED, which is modulated by an LCD screen to display an image. These systems do not fade or require the high voltages of first generation systems. These systems are on commercial aircraft. Third Generation - Use optical waveguides to produce images directly in the combiner rather than use a projection system. Fourth Generation - Use a scanning laser to display images and even video imagery on a clear transparent medium. Newer micro-display imaging technologies are being introduced, including liquid crystal display (LCD), liquid crystal on silicon (LCoS), digital micro-mirrors (DMD), and organic light-emitting diode (OLED). Here's what the onboard HUD/SVS display looks like. Notice the difference with the regular HUD/EVS above. Sure looks like Honeywell's EVS/SVS airline HUD guidance system is going to be a winner. If I were a pilot, the decision is obvious. Mark Ruffalo, James Cameron, and Kevin Bacon want you. An exclusive look at Global Green USA's new one-minute video designed to get people concerned and taking action about rising oceans. COMMENTARY: I totally agree with Global Green USA. The world is headed for a catastrophic disaster unless we take serious action to curb greenhouse gas emissions NOW. The facts are in: The world's oceans are beginning to warm at accelerating rates. The Arctic ice shelf is beginning to melt. Greenland's glaciers are already breaking away. Please get the word out. Join The Fight. In a blog post dated October 3, 2010, I reported on June 10, 2011, NASA launched into space Aquarius, a scientific instrument used to measure the salt content of the world's oceans, information that could help confirm scientists' suspicions that climate change is accelerating the world's water cycle and causing sea levels to rise rapidly. Aquarius is part of a joint mission between NASA and Argentina's space agency. At some point in the nearish future, much of the Maldive Islands will slip beneath the sea, large chunks of a nation swallowed up by the rising waters of global warming. Alarmed and increasingly desperate, the country's young president has an audacious plan: To buy a new homeland for his people. It's epic. It's borderline crazy. Can it possibly work? It's 5 a.m., the tremulous hour, and I'm reading by lamplight at the tiny hotel-room desk when the predawn adhan, the Muslim prayer song, begins. The five-times-daily serenade, beautifully sung, is one of my favorite things about Male, capital of the Maldives. That and the absence of dogs, which are banned throughout this Islamic republic. Not that I don't love dogs. It's just that there's no room for them here, and it's an undeniable relief not to see them dodging traffic and starving on the margins. It occurs to me, in that dark hour when no dog howls, that it might be a similar relief to be done with wildlife as well. Just get it over with. Last night I had coffee with a local cleric, Ibrahim Nasrullah, who told me that every night a great tidal wave rises up in the sea and begs God's permission to destroy the sinners on shore. But God in his mercy holds it back another day. This morning I feel it out there, the dark smothering force coiled to strike, and hear the singer singing what a brinkman's game life has always been. Obviously, I suffer from mal de Male, which most visitors to the Maldives—the Maldives of stilted huts and palm-shaded luxury—avoid by never setting foot in the capital. Here the paved-paradise all-human future is now; it's down to two: God and man. (I exaggerate; there are pigeons.) Maybe the singer is celebrating that exclusive relationship with Allah, but he sounds like a soul-sore troubadour to me, like Hank warbling of lonesome whistles. Resist the temptation to despair, he seems to sing, while his melody slips hopelessness under the door. The feeling is scary and new—both personal and world significant, Yeats's "The Second Coming" coming true. I'm here in the Maldives to write about the end of the world, or at least the end of this world, and climate change, that big bummer blackening the horizon. You know the story. Science says: This thing's coming, deal with it. And the president of the Maldives—the first democratically elected president—Mohamed Nasheed, is attempting to deal. On the eve of his inauguration last November, Nasheed announced his plan to begin investing millions each year in a sovereign-wealth fund that would go toward the purchase of a new homeland—an insurance policy in the event that rising seas force a mass evacuation of these low-lying isles. Remote from anywhere (the closest neighbor is India, 300 miles to the northeast), this archipelago of 1,190 islands in the Indian Ocean was nonetheless once at the center of world commerce—a lifesaving oasis in the liquid desert. Where the original inhabitants came from remains a mystery, but by around 300 b.c., when mariners from the East and West first met here, the shrewd middlemen of the Maldives were already provisioning the spice trade with fresh water and dried fish, amassing profit enough to become bankers and financiers. Buddhists for more than a millennium, the Maldivians were subjects of a Muslim sultanate for the next 800 years. For most of the latter half of the twentieth century, the state was a de facto dictatorship, but in November 2008, the Maldives emerged from a decades-long struggle to become the world's newest democracy. It now confronts the possibility—some scientists say certainty—of becoming the world's first modern sovereign nation to be forced to evacuate due to a man-made environmental catastrophe. The long-term outlook is bleak indeed: At a major U.N. conference on the emissions crisis in March, scientists warned that the Arctic ice is melting faster than previous measurements indicated, and that sea-level increases would be more severe and occur sooner than had been predicted by the 2007 report of the International Panel on Climate Change. That prognostication of a half-meter rise by the end of the century has risen to a full meter, more than sufficient to inundate the Maldives, where the average elevation is, you guessed it, a mere meter above the waterline. So the president's plan may not be as hysterical as it sounds. The Maldives hopes to raise the exodus fund from its billion-dollar-a-year tourism industry, much of it of the $1,500-a-night TomKat and Brangelina variety. In this, the Maldives is caught in a classic catch-22. The country desperately depends upon the carbon-powered prosperity that is heating up the atmosphere and raising sea levels. So do we all. But we high-and-dry continentals can postpone thinking the unthinkable while our politicians tinker with the sputtering economic engine. Nasheed believes the Maldivians can't just wait and see how the repair turns out. Seen through their frontline lens, the world is on the brink of a tremendous reshuffling, a reorg beyond comprehension and prediction. No wonder, then, that Nasheed can seem schizophrenic when faced with global economic psychosis, in which the economy and environment, actually two facets of one entity—like Jekyll and Hyde—pretend not to recognize each other. The president announced in March that the Maldives would become the world's first carbon-neutral nation by 2020. Though the cost of the proposed refit—155 wind turbines, half a square kilometer of rooftop solar panels, biomass plants burning coconut husks—would exceed the expected revenue for the homeland fund, it makes twisted sense for the young leader to promote both. Meanwhile, with the all-important U.N. climate-change conference coming up this month in Copenhagen, Nasheed hopes to make as big a splash as possible. He has directed his cabinet to learn to scuba dive, and on October 17 he convened the world's first underwater parliament. His mix of Barnum and Cassandra is pure "negative capability" in the Keatsian sense: the worst-case scenario abiding with the best. COMMENTARY: When I first read this article, I was struck with both fear and sadness, knowing that one of these days, the Maldives will be claimed by the Indian Ocean, and the lovely people who live there will have to be relocated in mass somewhere else. A lot of American's probably don't know where the Maldives are located, so just for the record, they are about 300 miles south of India, their closest neighbor. Rising ocean levels due to melting arctic ice and glacier's are very slowly raising ocean levels at a rate unseen in generations. By 2050, if not sooner, the world's ocean's will rise about a meter, and this will be just enough to inundate the Maldives, parts of Bangladesh, other Pacific islands and many low coastal areas in the U.S., Asia and other nations. My biggest regret is that many people, especially in the United States, are not taking global warming that seriously. We can all sit there on our fat butts, bicker and argue amongst ourselves, and continue to believe that global warming does not exist, or we can do something. If you need further evidence just ask a Maldavi. The clock is ticking for this small nation. They are dealing with global warming right now. On June 10, 2011, NASA launched into space Aquarius, a scientific instrument used to measure the salt content of the world's oceans, information that could help confirm scientists' suspicions that climate change is accelerating the world's water cycle. Aquarius is part of a joint mission between NASA and Argentina's space agency. On September 22, 2011, NASA reported that Aquarius had produced its first global map of the salinity of the ocean surface, providing an early glimpse of the mission's anticipated discoveries. Aquarius, which is aboard the Aquarius/SAC-D (Satélite de Aplicaciones Científicas) observatory, is making NASA's first space observations of ocean surface salinity variations -- a key component of Earth's climate. Salinity changes are linked to the cycling of freshwater around the planet and influence ocean circulation. Aquarius Principal Investigator Gary Lagerloef of Earth & Space Research in Seattle said. "Aquarius' salinity data are showing much higher quality than we expected to see this early in the mission. Aquarius soon will allow scientists to explore the connections between global rainfall, ocean currents and climate variations." The new map, which shows a tapestry of salinity patterns, demonstrates Aquarius' ability to detect large-scale salinity distribution features clearly and with sharp contrast. The map is a composite of the data since Aquarius became operational on Aug. 25. The mission was launched June 10 from Vandenberg Air Force Base in California. Aquarius/SAC-D is a collaboration between NASA and Argentina's space agency, Comisión Nacional de Actividades Espaciales (CONAE). Michael Freilich, director of NASA's Earth Science Division at agency headquarters in Washington said. "Aquarius/SAC-D already is advancing our understanding of ocean surface salinity and Earth's water cycle. Aquarius is making continuous, consistent, global measurements of ocean salinity, including measurements from places we have never sampled before." Aquarius science team member Arnold Gordon, professor of oceanography at Columbia University in Palisades, N.Y., and at the university's Lamont-Doherty Earth Observatory said. "Aquarius has exposed a pattern of ocean surface salinity that is rich in variability across a wide range of scales. This is a great moment in the history of oceanography. The first image raises many questions that oceanographers will be challenged to explain." Aquarius was built by NASA's Jet Propulsion Laboratory in Pasadena, Calif., and the Goddard Space Flight Center in Greenbelt, Md., for NASA's Earth Systems Science Pathfinder Program. JPL is managing Aquarius through its commissioning phase and will archive mission data. Goddard will manage Aquarius mission operations and process science data. CONAE provided the SAC-D spacecraft and the mission operations center. Eric Lindstrom, Aquarium program scientist at NASA said. "A sort of grand problem in Earth science is to understand the water cycle -- evaporation from the ocean, clouds, rain, the formation of ice, the runoff from the land back into the sea. Ocean salinity turns out to be a pretty useful diagnostic of the big picture." Aquarius will be able to measure changes in salinity caused by evaporation, rain and snow, and melting sea ice. Its measurements of ocean saltiness will also help scientists understand how changes in salinity affect the deep currents that drive ocean circulation. "If we can confirm water cycle acceleration, what this means to us in a practical way is that there are more extremes. There's more water circulating through the atmosphere, more flooding, more drought. I am just really excited about the idea that we can get this data all over the planet and be able to diagnose what's going on with the water cycle." Gary Lagerloef, a principal investigator on the Aquarius mission, said the instrument can measure minute changes in the ocean's salt content. "If you take a dash of salt, an eighth of a teaspoon, and you put that in a gallon of water, that's the amount of salinity change Aquarius will be able to observe from month to month over any part of the ocean." Aquarius is also notable for another reason. It's the first climate satellite NASA has launched since a faulty rocket sent the space agency's Glory probe crashing into the ocean in February. A similar problem doomed the launch of another climate satellite, the Orbiting Carbon Observatory, in 2009. But there is an important difference between Aquarius and the previous failed launches: It launached into space on a Delta II rocket, not the Taurus XL rockets that carried Glory and OCO. NASA built the instrument in the United States but later sent it to Bariloche, Argentina, where crews from Argentina's space agency placed it on the SAC-D satellite framework, which carry seven other scientific instruments. Officials then shipped the completed SAC-D, with Aquarius aboard, to Sâo José dos Campos, Brazil, for environmental testing at a Brazilian Space Agency facility. COMMENTARY: Aquarius will continue to map the concentration of dissolved salt at the ocean's surface, information that scientists will use to study the ocean's role in the global water cycle and how this is linked to ocean currents and climate. Sea surface temperature has been monitored by satellites for decades, but it is both temperature and salinity that determine the density of the surface waters of the ocean. Aquarius will provide fundamentally new ocean surface salinity data to give scientists a better understanding of the density-driven circulation; how it is tied to changes in rainfall and evaporation, or the melting and freezing of ice; and its effect on climate variability. Salinity is defined as the number of grams of salt dissolved in 1000 grams of ocean water. The salinity of average seawater is 35‰ [this symbol is read as permil – out of 1000 rather than 100 as you would have in percent (%) – your book gives some weird symbol for permil that looks like the congruent symbol (≈) I have never seen used for permil before. In this class we will use ‰]. On average, there are 35 grams of salt in every 1000 grams of sea water (35 parts per thousand or 35‰). NOTE: Because all salinities are assumed to reported as permil, they often leave off the ‰ symbol (reported as simply 35 assuming that you know its unit is ‰). NASA's Jet Propulsion Lab and the California Institute of Technology produced this really cool video titled "Eyes On The Earth 3D". Check it out. For a long time meteorologists have suspected that ocean currents and the temperature and salinity of our oceans have a direct affect on our weather. Just a small increase in the temperature and salinity of our oceans can have devastating affects on surface temperatures. As ocean temperatures rise or decrease, the this creates a sort of sauna effect or cooling effect, increasing surface temperatures or lowering them in others parts of the globe. This is why we are experiencing the frequency and intensity of tornados, rain storms, hurricanes, very cold winters and drought in different parts of the world. GLOBAL WARMING IS NO LONGER IN DOUBT, BUT HOW WELL PREPARED IS YOUR COUNTRY IN THE EVENT OF CATASTROPHIC CLIMATE CHANGES? Climate change is here, and as it worsens, it will affect the entire planet. But it's the hard truth that it won't happen equally: Some areas will be affected more than others. Those areas, one would hope, would be spending the most time and energy preparing for the eventualities of drought, food shortages, and rising sea levels. But this is largely not the case. The most ill-prepared countries are the ones that will be hit the hardest. That's just one of the major conclusions of the Global Adaptation Index (GAIN), which provides scores for every country based on their vulnerability to climate change and their readiness to deal with those issues. Denmark is ranked the highest (it isn't very vulnerable to begin with, and has done a lot to get ready), while Ethiopia, which is doing very little while being very threatened, is the lowest. On the map above, the more red a country is, the worse their score. There is clearly a lot to be done to prepare for climate change, and a lot of that needs to be done in the developing world. Look at it as a challenge, or as an opportunity. Sooner or later, those countries will realize the potentially dire straits they're in, and will need a rapid infusion of projects to get them ready. COMMENTARY: There is a lot of confusion as to how the level of carbon dioxide emissions in the Earth's atmosphere effect our weather and worldwide temperatures. Carbon dioxide emissions are released into the Earth's atmosphere as a result of both naturally occurring and manmade causes. Carbon dioxide emissions have also been referred to by other names, such as carbon emissions, CO2 emissions and greenhouse gases. Regardless of what you call them, the concentration of greenhouse gases in the Earth's atmosphere have been increasing at an alarming rate. Meteorological studies now show that world temperatures have been steadily rising as a result of rising CO2 levels. Regardless whether greenhouse gases are naturally occurring or manmade, the effects could eventually be irreversible with catastrophic consequences on our weather, water and food. Firstly, we need to understand that our atmosphere is a layer surrounding the earth held in place by gravity and primarily made up of Nitrogen (78%), Oxygen (21%), with water and other gases making up the remainder. Scientists now realise that the proportion of these gases has increased significantly over a few hundred years. The real increase began around the time of the Industrial Revolution. This is when we began to burn fossil fuels (coal) in large quantities to power our steam engines. These gases are termed 'greenhouse gases' because during the day the earth absorbs heat from the sun, although much of this is radiated back out into space. The atmosphere surrounding our earth contains these gases, and acts like a blanket keeping some of the heat in. If there weren’t an atmospheric ‘blanket’ we would freeze during the night, like some of the other planets or our moon. These gases are called greenhouse gases as they effectively make the blanket around our globe thicker, trapping more heat and turning the globe into a green house. (A green house is a structure that market gardeners use to grow vegetables in. It is covered in clear plastic or glass to let the sun light in, and traps the heat inside, increasing the temperature. Sometimes these are also referred to as 'hot houses'). In its simplest terms, Earth is like one gigantic green house. The bulk of carbon dioxide gases are naturally absorbed by plants to produce oxygen through the process of photosynthesis and by our oceans through physiochemical and biological processes. However, meteorological studies now show conclusively that there is a buildup of excess of carbon dioxide gas in Earth's atmosphere, and that over time, this will create what is commonly referred to as The Greenhouse Effect. This is where it gets a bit frightening! The fossil fuels we are burning in ever-increasing amounts contributes to higher concentrations of methane, carbon dioxide and nitrous dioxide, effectively turning up the heat and turning the globe into a veritable greenhouse. Well, I wish we could simply say that! However turning the globe into a green house has dire consequences for all of us. We already experiencing heatwaves associated with land temperature increase and thousands of people will die through future heatwaves. (In the 2003 heatwaves in France over 20,000 people died). Droughts will become more prolonged and be even more devastating than anything we have experienced. This is because higher temperatures evaporate water from the land, which will also give rise to more wildfires. Agriculture and food crops will be devastated in some regions and diseases like malaria and dengue fever will increase as conditions favourable to these diseases spread. Higher ocean temperatures increase the power in cyclones and hurricanes, (stimulating more tornadoes ) and we will see a higher frequency of severe storms (like Hurricane Katrina)and associated flooding that will do extraordinary damage to infrastructure, and destroy houses, towns and villages. This is already driving up insurance costs. Rising sea levels will displace millions of people, (already on some Islands people are being moved off due to rising seas) and the geography of the land will change dramatically, with millions needing to be relocated along with loss of buildings. The truth can only remain hidden for so long. In reality, there is no remaining reasonable doubt of about man's influence on climate change. This time it is not the lives of millionss at stake, but billions. VULNERABILITY - Vulnerability measures a country's exposure, sensitivity and ability to cope with climate related hazards, as well as accounting for the overall status of food, water, health and infrastructure within the nation. READINESS - Readiness targets those portions of the economy, governance and society that affect the speed and efficiency of absorption and implementation of Adaptation projects.